Everyone needs to know how to identify bed bugs! Learn how to recognize bedbugs yourself and find out where you can get (free) professional help to make a positive ID on any bugs you've found. IMPORTANT NOTE: If at any point you confirm that what you have is a bed bug, stop. You need to move over to the Pest Control section right away. Don't do anything until you learn the basics of bed bug pest control – definitely don't just grab a bug spray can or fogger (bug bomb) even if it is labeled for bed bugs. It will make your situation much worse! There are 3 basic ways to identify whatever insect you've found and determine whether or not it's a bed bug or not. If you're pressed for time and you have a digital camera handy to snap a high quality picture of what you've found...skip to the to the bottom of the page by clicking here. Otherwise, read on to learn all of your options. Since 1 in 5 people in the US has been affected by bedbugs (or knows someone who has), everyone should know how to identify bed bugs or at least be able to make a well-informed guess. Not sure? Think it might be something else? There are a quite a few insects people sometimes confuse for bed bugs. These pictures of bed bugs vs. other bugs should you help you out. If you're pretty sure it's not a bed bug but don't know what kind of insect it really is, you can check out the National Pest Management Association's Pest Guide. It links to pages on over 50 different pests! Even if you're pretty sure what you have found is a bed bug, I highly recommend that you have a professional confirm the ID. There are a couple of other species like bat bugs that look almost identical to bed bugs, so consulting a pro is always a good idea. Luckily, there are a number of ways ways to positively identify bed bugs with the help of a professional. And believe it or not, it's usually free! Maybe you don't want to go the DIY route, or you just don't trust your own judgment. Then having an exterminator identify the sample might be the route for you. Typically, they won't charge you – especially if you bring the sample to them. Just make sure you choose one who is well-qualified to deal with bed bugs. Surprisingly, many exterminators just don't have the experience and know-how to tackle this particular pest. 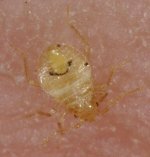 Find out how to choose the right professional in the section on working with bed bug exterminators. If you're going to get an exterminator or entomologist to identify what you have, you will need to provide them samples. Here are three quick & easy ways prepare a sample for them to identify. Tape the bug to a blank index card using clear packing tape or scotch tape. Trap the bug on tape and fold it over, completely encasing the bug. Then affix the tape to a card or piece of paper. Contain the bug in a small vial like a prescription bottle or other small container that can be tightly closed. Believe it or not, you can have an entomologist (insect scientist) review your sample and give you an expert opinion on what it is. Seems crazy that you can do this, right? Actually, it's a lot simpler than you might think. First, you can contact the Cooperative Extension Office in your county. In most cases, they have an entomologist on staff, at least part-time. You will need to send or bring in a sample for them to review. You can get contact information for your local Cooperative Extension Office by clicking this link. Second, if you live near a major university (or even some smaller colleges) you can contact their Entomology Department to see if you can get your sample identified. In most cases, the Entomology Department staff will be happy to help members of the community identify their pest issues. SUPER TIP: Here's the fastest, easiest, and most reliable way to get an expert opinion for free...via the Bedbugger.com forums! This is a truly amazing resource! The expert contributors to the bedbugger.com forums include nationally recognized entomologists and some of the leading bed bug experts from the pest control industry. Here's the best part. You can get them to weigh in on precisely what you're dealing with - simply by asking. Completely free of charge. No strings attached. Just take a high resolution close-up photo of what you've found and post it with a request for ID. Usually an expert will reply with a positive bed bug identification (or tell you what it is, if it's not a bed bug) within about 24 hours. Sometimes it takes a little longer on the weekend. Even if you're pretty sure what you have is a bed bug, why not get confirmation from an expert? It's pretty easy and surprisingly fast. You've got nothing to lose. You'll have to register to post to the forums, but you can use a pseudonym (nickname) to protect your privacy. Make sure you select the right section/theme (Detection/Identification) when you post your ID request. Read the tips for posting photos before you create your post. This is this is an incredibly valuable resource and you'd have to be a fool not to take advantage of it. Learn more about why I love bedbugger and how to get the most of all it has to offer! If you find that you are dealing with bed bugs, don't panic. The situation is manageable if you don't jump the gun and make critical bed bug pest control mistakes. Learn the basics of Integrated Pest Management in the bed bug pest control section so you can make wise choices and get rid of these suckers for good! 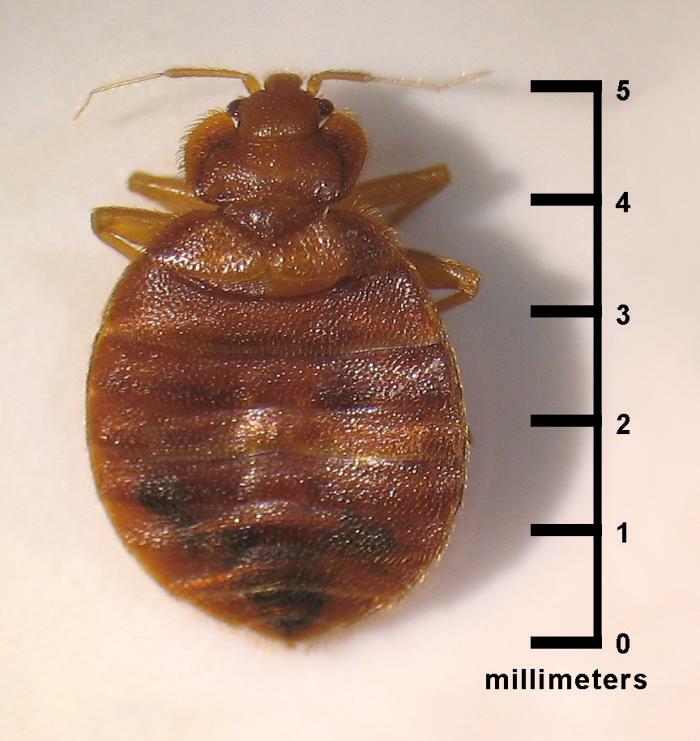 If you determine that you don't have bed bugs, that's great! Head on over to the bed bug prevention section to learn how to keep it that way!